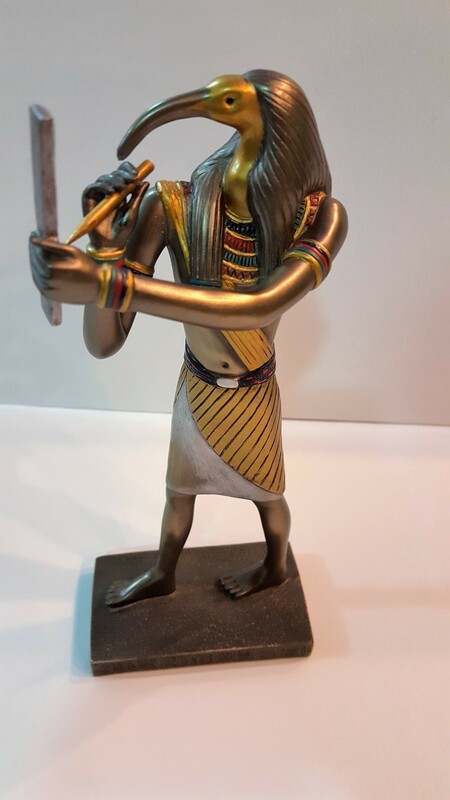 Role & Function: The roles of the moon god Thoth include the development of science, the arts of magic, the system of writing, arbitration and the judgment of the dead. Status: He was a mediating power between good and evil, the secretary of Ra and the scribe of the Underworld. Titles: The "Lord of the reed pen", "Twice Great", the "Scribe of Ma'at in the Company of the Gods", "Lord of the Sacred Words"